I once had a bunch of guys join Amelie Rose who hailed from a Bristol Channel dinghy club and who spent the entire weekend remarking on how clear and blue the waters of the Solent were. Boy, they would be truly amazed if they ever made it out to the Isles of Scilly. 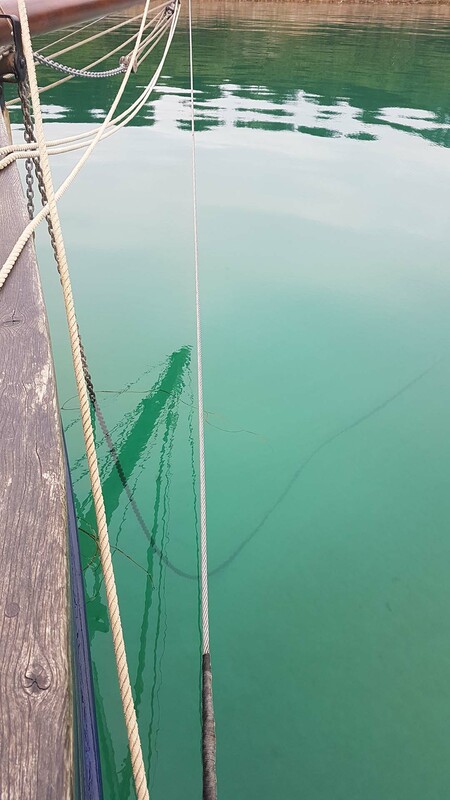 Barely a trip goes by when I don’t at some point panic that we’re aground because I can see the bottom so clearly, only to discover that we’ve got over 5m under the keel! It also makes calculating your swinging room a cinch when you can clearly see your anchor and chain laid out along the seabed. So if a bracing swim in crystal clear waters is just your thing then Scilly is your perfect destination. I have to admit that I’m not a huge fan of beach holidays; they seem a little too static for my taste. That’s not to say that I don’t like to wonder along a nice beach however, and some of the nicest that I know are clustered together on the Islands. There are busy beaches (St Mary’s), deserted beaches (St Martin’s), beaches that appear and disappear (between St Agnes and Gugh), and best of all beaches that you can look at whilst sipping a pint (all over the place). What they all share it seems is a lovely white colour – caused apparently by a high silica content. Love sand between your toes? Scilly has it sorted! It’s not just the palm trees (although there are palm trees), thanks to escapees from the delightful Tresco Abbey Gardens there’s all kinds of weird and wonderful plant life to be found on the Islands. It often feels like you’re wondering around one of the Spice Islands rather than a part of Cornwall (albeit a rather remote part). Not to be outdone there’s tons of wildlife too – much of it avian (bird spotters flock to the islands) and some of it aquatic (we’ve seen seals and dolphins aplenty) and some of it both (PUFFINS! Yay!) 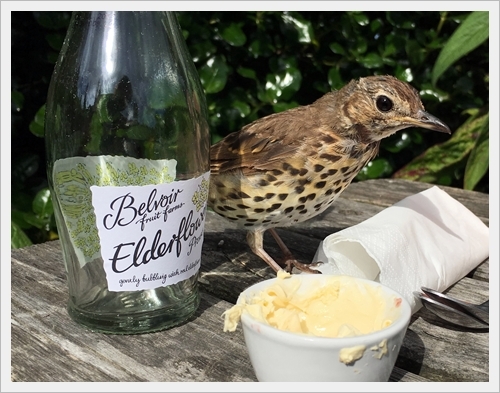 Yep if flora and fauna are what you seek, look no further than Scilly. 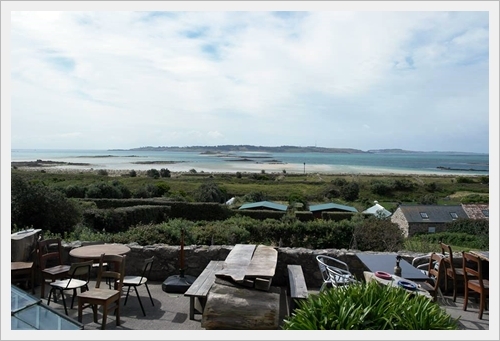 Turks Head (St Agnes): Allegedly the most South Westerly Pub in the UK, definitely one of the finest views on the planet and great booze and food to boot. 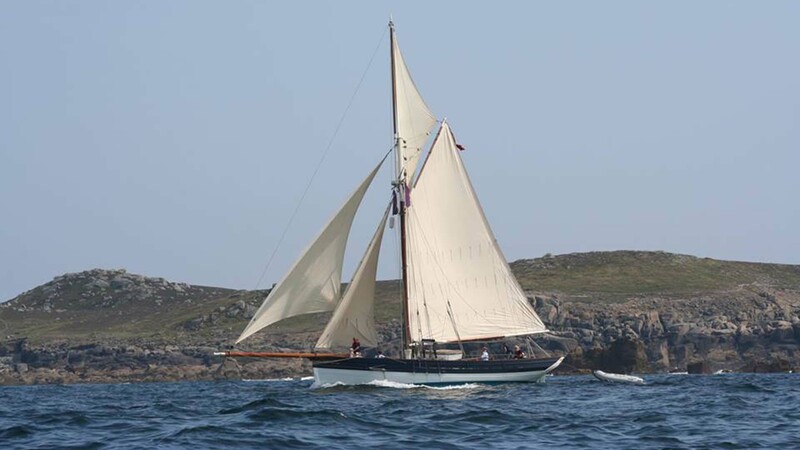 Don’t miss the small photograph of original Scilly Pilot Cutters at anchor that hangs inside. The Seven Stones Inn (St Martin’s): Recently(ish) reopened by the lovely Dom and Emily who have absolutely nailed what makes a perfect pub. Their view is also spectacular – every bit as good as the one from the Turks. Top Tip? Rum and Shrub is the drink of choice here. 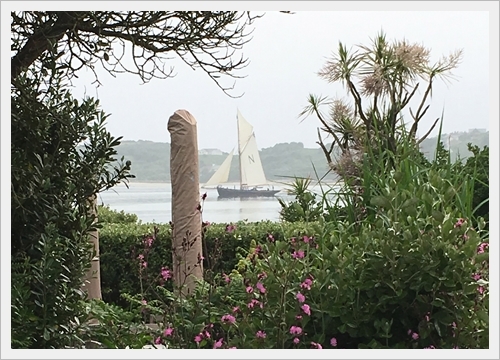 The New Inn (Tresco): Tresco can feel a little odd sometimes, a little bit Port Merion (from the 60’s series The Prisoner), but the pub has a lovely garden, good grub and most importantly, SHOWERS! The Atlantic Hotel (St Mary’s): In many ways it’s just another St Austell Brewey Inn (though that’s no bad thing) but on a sunny day the terrace is just the perfect place for a spot of lunch and a beer or two – especially if St Mary’s is heaving with grockles. Fraggle Rock Bar (Bryher): Yep you read that right – made all the more amusing by the fact that the original setting for the kids TV series was St Anthony’s Lighthouse back in Falmouth. Fraggle Rock is a no nonsense bar on a no nonsense island. Perfect! Now don’t get me wrong, I’ve nothing against marinas. As places to keep bits of floating white plastic they are almost unsurpassed, though they do tend to spoil the view somewhat. Amelie Rose however, thinks that Marinas are satan-spawned and refuses to go anywhere near one. Luckily for us there’s not a single marina in the whole of the islands – and indeed only a few places where there are moorings laid. This encourages a kind of freedom from rules that I love. Don’t fancy anchoring in the usual haunts? Just head off elsewhere, find yourself a quiet spot and hey presto, a view for you alone to savour. It’s refreshing in these overly commercial times to find a place that throws the rule book away in favour of self-reliance and personal responsibility. So if you like the idea of doing your own thing, Scilly rules! Maybe they’re all just lovely, or maybe it’s a clear headed realisation that they depend on visitors for most of their income, or maybe it’s because I always turn up in an Isles of Scilly Pilot Cutter (and there are folks there who recognise her for what she is) but the welcome on the Islands is never less than warm and friendly. Of particular note are the aforementioned Dom and Emily (Seven Stones Inn), Charlie (Porth Cressa Moorings), the ladies at the Tourist Info (and showers) in Porth Cressa and definitely the local naturalist and historian Will Wagstaff, who does fantastic walking tours of the islands. Love to make friends in far off places? Scilly’s the place for you! Perched as they are at the mouth of the English Channel in the confluence of the Channel and Irish Sea tidal streams, the Islands are bound to experience interesting tidal flows. Throw in several sizeable islands, armfuls of islets and seemingly a billion rocks and the resulting whirls and eddies make navigation thoroughly entertaining. On the plus side, in anything less than 10m there’s a pretty good chance that you can see the seabed so navigating by eye is certainly possible but learning your transits is key to not being delivered sideways onto unyielding granite. 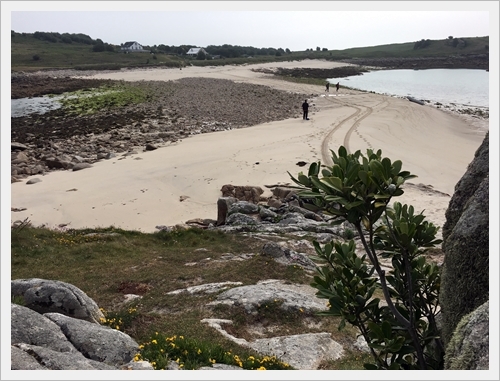 Personally I love this stuff – challenge is part of adventure and Scilly is packed with both. There’s nothing quite like heading out into the big blue, towards a target that is there, somewhere. To a place that’s over the horizon and which can’t therefore be seen immediately. 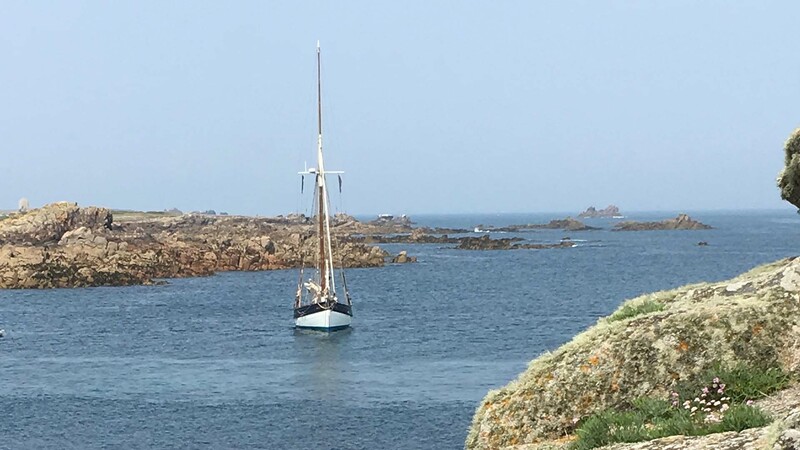 Whilst it’s true that on a clear day you can observe the mainland from Scilly you certainly can’t see Scilly from the deck of a ship as you pass Lands End. Though the islands lie just 30 miles off the coast we’ll have generally sailed 60nm from Falmouth by the time we reach them and that’s a satisfying passage. We’ve even gone overnight now and then, running watch on watch until we raise St Mary’s in the first glimmers of dawn. This is proper primal sea adventuring stuff! 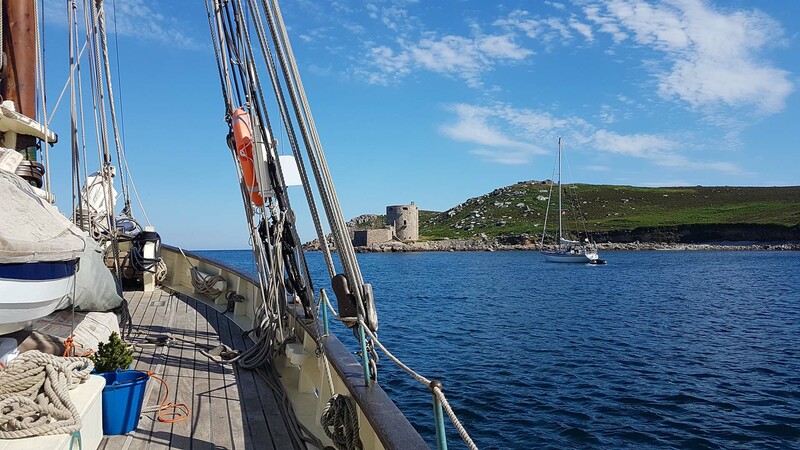 When you arrive on the Isles of Scilly by sailing ship you really feel like you deserve to be there. Have I banged on about the views too much? Maybe, but they are fabulous. It’s not just the archetypal “blue sea, white sand, green islands” Scilly Postcard views (though there are a lot of those) but the astonishing array of different vistas that are packed into such a small area. 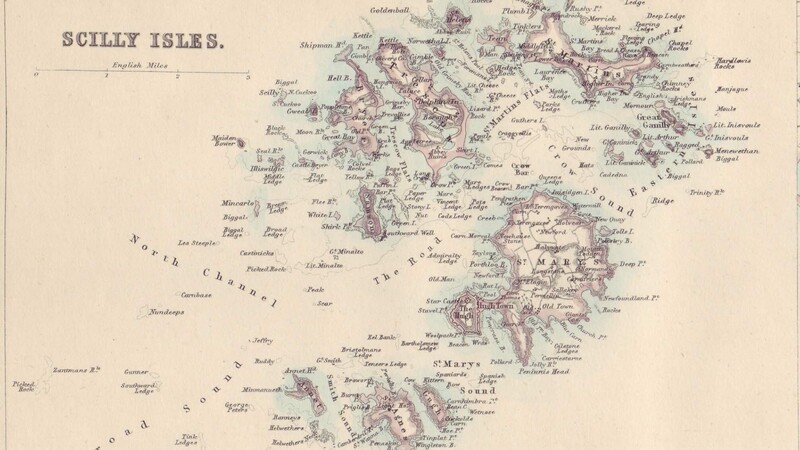 The islands occupy a space barely 10 miles by 8 and yet within them there are barren moonscapes, verdant pastures, lakes (well ok… overgrown ponds), forests, moorlands, castles, ruins, flooded prehistoric settlements (did I mention that the islands are sinking?) and on and on it goes. 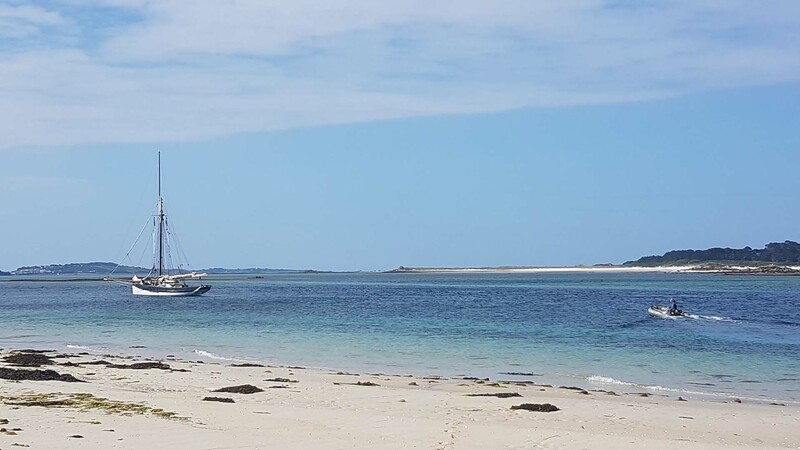 Tresco is a great case in point; at just 1.15 square miles it’s only just over twice the size of Hyde Park and yet offers two wildly different terrains in the green and forested South and the bleak windswept moorland of the North. If you like landscape photography (or indeed painting) you’re going to love Scilly! That all of this abundance is crammed into such a tiny group of Islands is incredible. It’s also incredibly useful. With the passage there enjoyed (and with the promise of another one ahead) there’s no requirement to spend hours at sea as you slip from one island to the next. A couple of hours a day will see you cross St Mary’s Roads, navigate Crow Sound, dodge between the Western Rocks and weave through the Northern Isles. Each day will bring you a new land to explore, a new story to tell, a new reason to return. 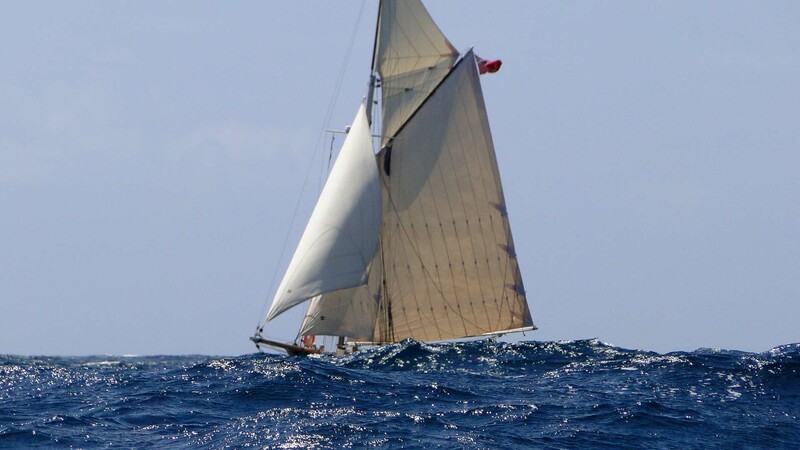 Check out our schedule to see when your Scilly adventure will begin.